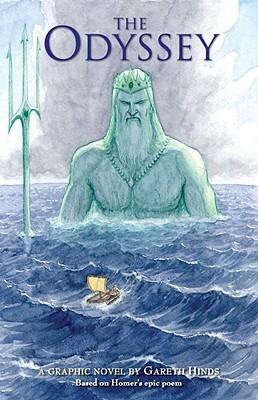 This book recounts the story of Odysseus' return to Ithaca from the Trojan war and tells how, championed by Athene and hounded by the wrathful sea-god Poseidon, Odysseus encounters the ferocious Cyclops, escapes Scylla and Charybdis and yields temporarily to the lures of Circe and Calypso before he overcomes the trials awaiting him on Ithaca. Only then is he reunited with his faithful wife Penelope, his wanderings at an end. My first introduction to Greek literature was a tattered old home-schooling primer which belonged to my mother. It was a collection of Greek mythology stories cut down so younger readers could digest the story and answer the questions at the back. I spent a quite a few rainy afternoons reading through this book which whetted my appetite for Greek mythology. Latter on in my late teens, early twenties I came across this book and The Iliad at my local bookstore and decided I was going to read through them both. I noticed that chronologically The Iliad came first but because of my familiarity with The Odyssey I decided to read it first. Which was a good choice because I never did finish The Iliad. 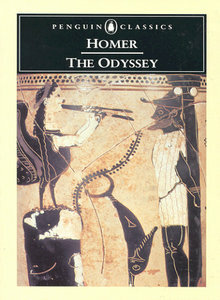 When I say 'familiarity' I am meaning the various short stories from The Odyssey which I read in the above mentioned primer and a few cartoon shows which I watched on TV about this book. the classics to modern readers. Just recently I heard a my minister say that this book is on a lot of people's list of books 'To Read' but never get around to reading it. In order to easily overcome this issue, he purchased the latest graphic novel version of The Odyssey and read it. So I can proudly say that I have actually read The Odyssey and enjoyed it. There seems to be a lot of debate on the Internet about who did the best translation, I really can't comment on that, however I do remember that this was an easy and enjoyable book to read. Although I wasn't looking for it I was able to see some of the poetic structure in this book. It was especially obvious when lot of chapters seemed to start with when 'Dawn appeared fresh and rosy-fingered'. I do remember reading that phrase a lot. In summary, this is a great adventure story, a proven timeless classic, which puts many of modern novels to shame. Often I find myself comparing the story line in some adventure tales to this book. This is a book which I will most likely be trying to force my sons to read when I think they are old enough.